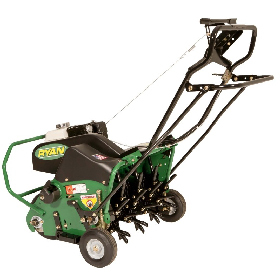 This Ryan 544909A Commercial Walk Behind Lawnaire IV aerator features a 19 inch spreading width and a 4 HP Honda Engine. 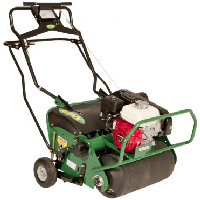 This unit comes with commercial-grade components such as a solid steel axle and austemper-hardened steel coring tines. Productivity: Aerates up to 29,000 sq. ft./hr.